Man, oh, man…is this honey good! We go through jars of this recipe more quickly than the other infused honey and syrups that we keep around the house. There is something magical about the way that the sharp sour lemon and the rich sweet honey combine…like angels dancing on your tongue! Slice as many lemons as you need to fill your jar. Pour in enough honey to completely cover the lemon slices. Fill it all the way to the top if you can! Slap a lid on and put it on a windowsill, or on your kitchen counter where you can see it. That way you will remember to check it daily! 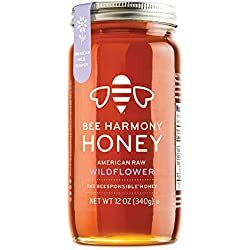 Open it every day and use a very clean spoon or chopstick to push the lemons back under the honey, or if you have a jar with a very strong seal, turn the honey over once a day. 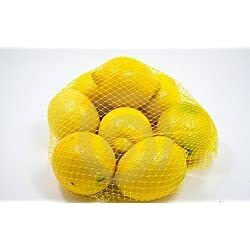 This helps to deter mold growth on the top of the fruit. The honey will get runnier each day as it pulls the moisture and oils out of the lemons. 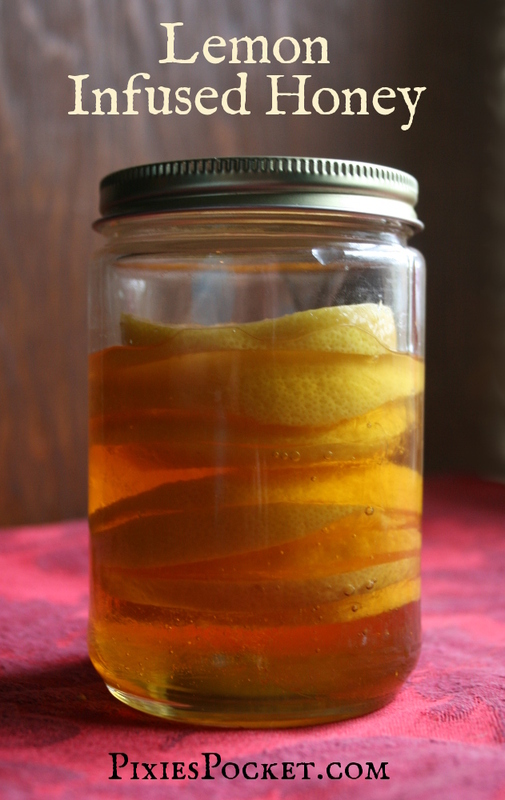 After two weeks, strain your runny honey into a clean jar or bottle. Label it and store it in the fridge. It will ferment or go moldy at room temperature. 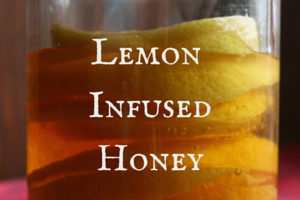 What can you do with lemon infused honey? Drizzle it over pancakes, crepes, french toast, yogurt…anything! 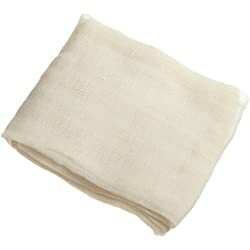 Pour some into a tea to help soothe a cold or a cough. Whiskey is optional, but encouraged! I’ve caught my husband with the jar and a spoon in the kitchen, so don’t rule that out. Chop them up into a chutney. Make them into a syrup! Dice them and put them in a teapot, cover with hot water and add some whiskey for a hot toddy! Dehydrate them and use them in teas or spice blends. We get free honey, so I must do this. I know what I’m giving for Christmas… Thank you for all the great ideas! !